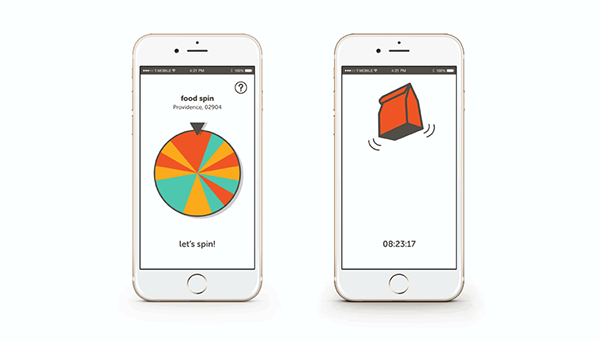 Food Spin is a phone application that acts as a food delivery roulette system. 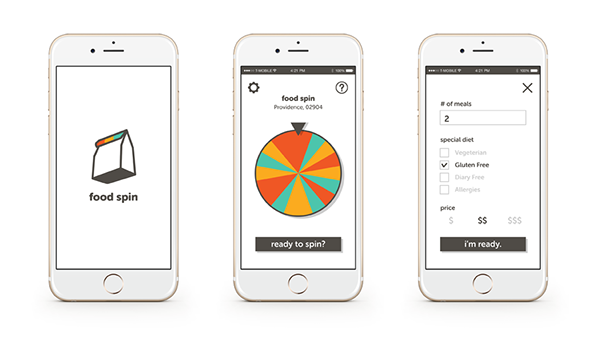 Simply select the price you want to pay, and any food allergies, then shake your phone and Food Spin will automatically select a meal from a random local restaurant to be delivered to your door. 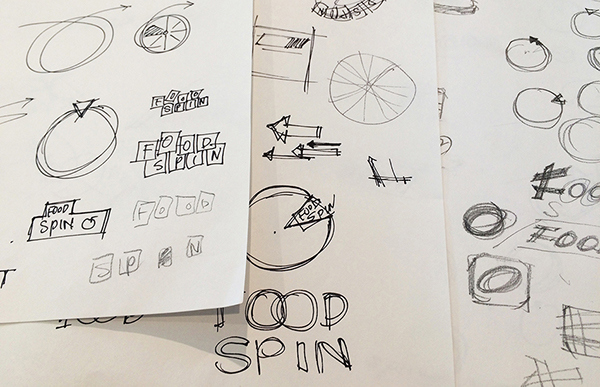 Food Spin is passionate about local food and the cultural food experience right around the corner. Food Spin wants you to experience something new and spontaneous that will change the way you look at your neighborhood food scene. After the initial meeting, we derived three adjectives to describe the mobile application, which are; simple, quick and spontaneous. 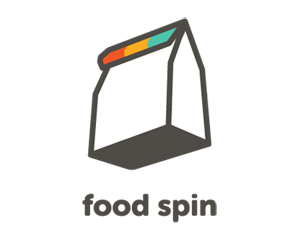 Then I worked on a logo of the app first. As this product provides the food delivery service, I designed the logo based on a shape of a brown bag, which is a usual take-out bag. 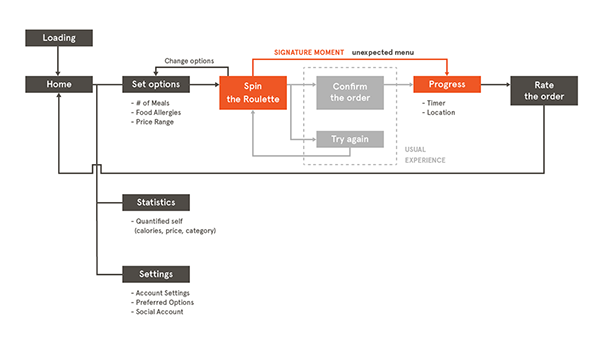 After we confirmed the logo design, I started to work on the information architecture of the app. The unique selling point of this app is that the user can't know the menu until the food is delivered. Based on the flow, I quickly made mock-ups to get an idea of how the app works and feels. 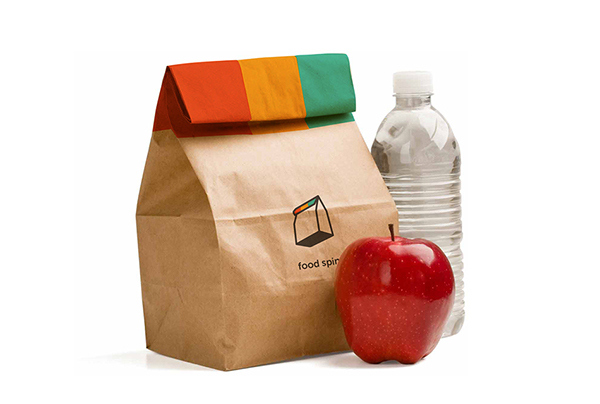 A printed brown bag can be used to promote this mobile application.